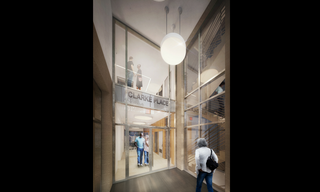 Construction is underway on the Volunteers of America-Greater New York (VOA-GNY) Clarke Place Senior Residence, a new rental building with permanent, supportive housing for low-income seniors in the Jerome Avenue Highbridge-Concourse neighborhood of the Bronx. 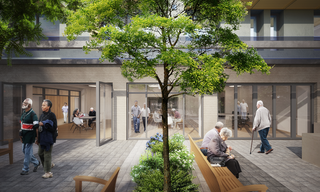 The new apartment building located at 112 East Clarke Place will address the growing demand for subsidized housing for seniors and help them to “age in place” with the assistance of critical support services, allowing them to remain as independent and engaged in the community as possible. 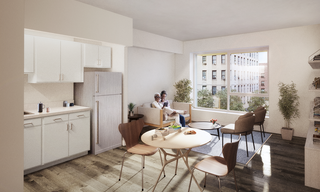 This affordable, supportive housing residence is VOA-GNY’s largest development project to date. 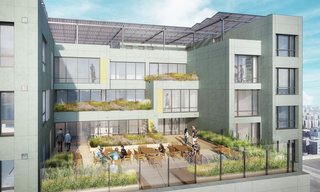 The building is expected to be completed in 25 months and will begin leasing up in August-September 2020. 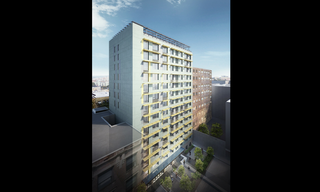 The 14-story, 122-unit masonry building will provide permanent housing for very-low and low-income seniors (aged 62+) in 98 studio and 23 one-bedroom apartments. 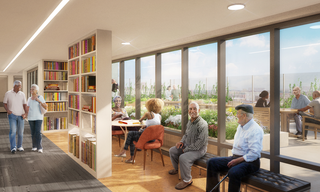 Thirty-seven units will be reserved for chronically homeless seniors. A large community room that opens up to a landscaped rear courtyard with a built-in kitchen for summer barbecues and events, administrative offices and several resident lounges. 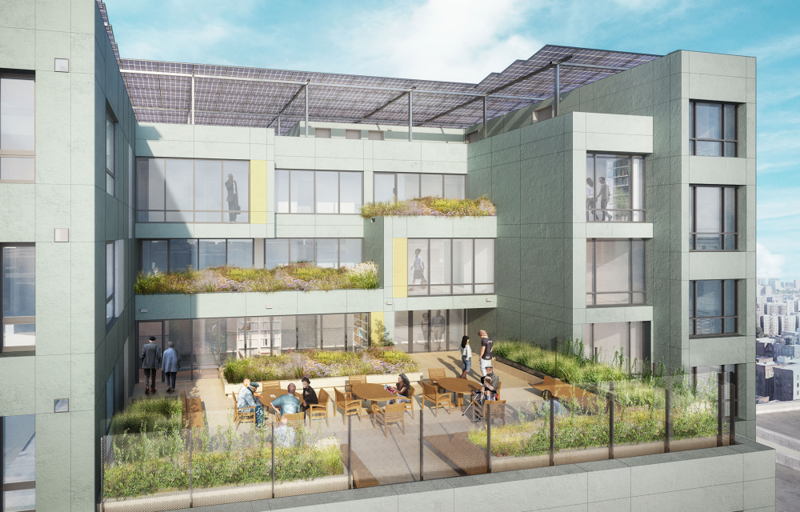 The building is designed to meet the LEED Platinum energy standard, which includes alternative energy elements like a roof-mounted solar panel system, a rainwater irrigation system, a green roof, and much more. Case managers will also be on-site to refer clients to appropriate community-based services that may include mental health programs, substance abuse treatment centers, and health clinics. 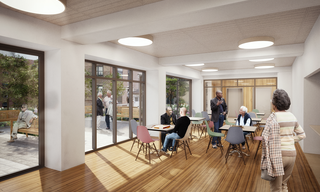 Educational, recreational, socialization, volunteer, and wellness activities will be offered both on site and in the neighborhood and will help the residents connect with both VOA-GNY and local communities. 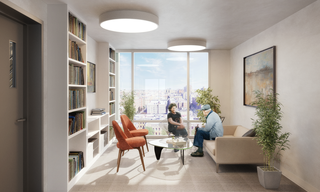 Eligible residents will benefit from rental assistance through either the Empire State Supportive Housing Initiative (ESSHI) or Senior Affordable Rental Apartments (SARA) programs, meaning that they will pay no more than 30% of their income. Addressing the need for senior housing, Pettitt noted that the demand for subsidized housing for seniors far outstrips supply. Compounding this demand/supply imbalance, she noted, is the fact that NYC’s senior population is expected to increase to over 1.4 million people by 2040. Total cost of the project is expected to be approximately $68.3 million. 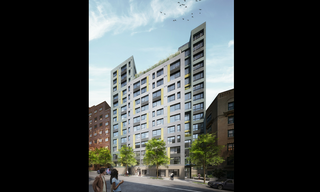 Financing was made possible with the assistance from the New York City Housing Development Corporation (HDC) and the Department of Housing Preservation and Development (HPD). 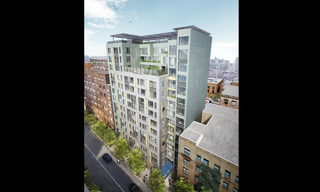 Construction financing included 4% Low-Income Housing Tax Credit equity, tax exempt bond, HPD/HDC subsidy loan, HPD SARA, New York State Energy Research and Development Authority, HDC Extremely-Low and Low-Income Affordability Program, and deferred developer fees. 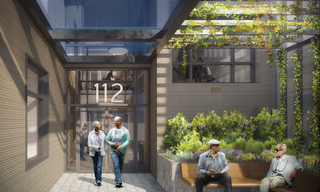 The property was also awarded two Reso A grants – $500,000 from the office of Bronx Borough President Ruben Diaz Jr. and $250,000 from the office of Council Member Vanessa Gibson – to go toward capital costs on the project. The members of the Design Development Team include VOA-GNY (sponsor, co-developer, owner, and property manager), Robert Sanborn Development, LLC, (co-developer), MAP Architects (project architect), Procida Construction Corp. (general contractor), Olive Branch Consulting (owner’s representative), and Windels Marx Lane & Mittendorf, LLP (legal counsel).